This is the end of the Southport Spit. It is an exposed location on a sand peninsula surrounded by the pacific ocean. 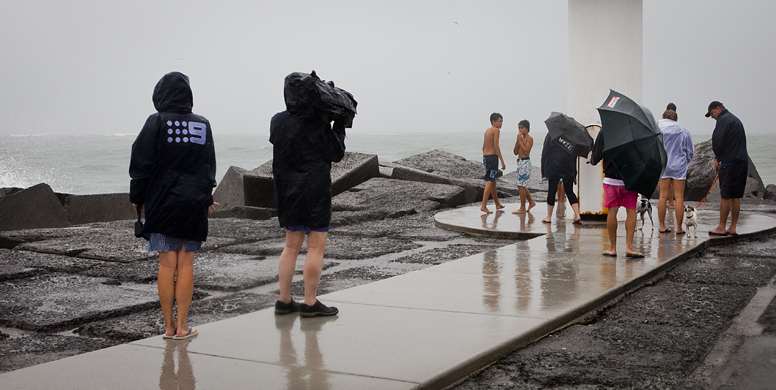 It attracts news crews, photographers and locals anytime there is a big storm, king tide or east coast low. 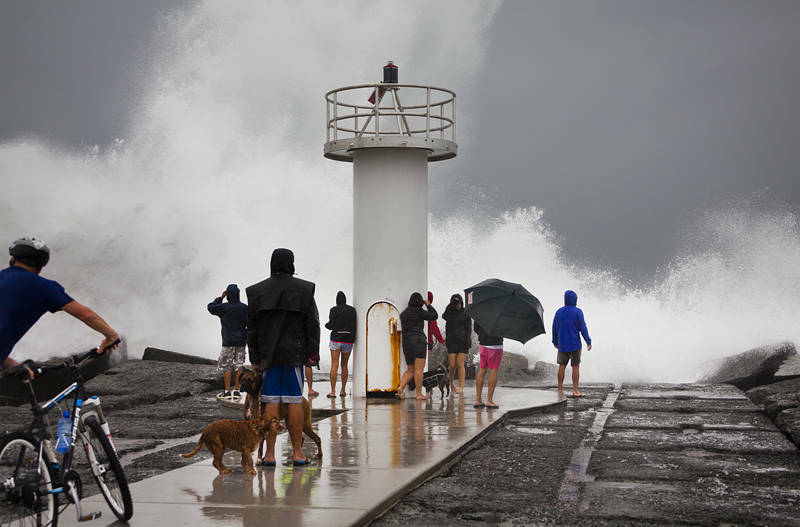 This shot was taken on a day when two cyclones hit the coast of Australia. Cyclone Lam in the Northern Territory and Marcia in Queensland. Here on the Gold Coast it had been raining heavily for two days when the high tide here coincided with the arrival of the storm.